What is it: A series of fabulous books about the children of Greek (and later Roman) gods and mortals living in modern America, fighting monsters, going on quests, and saving the world for their godly parents and mere mortals. The books are available everywhere, including your local library (they’ve got multiple copies of all at ours). They’re also available as audio books at iTunes, which is one of Flora’s favourite ways of experiencing the stories. There’s also the Percy Jackson and the Lightning Thief movie, available at Netflix (in Canada at least) as well as our local library and iTunes. And a graphic novel version of The Lightning Thief. Recommended ages: Percy is 12 in the first book and 16 at the end of the first series. Flora and Cinder were 6.5 and 9 when we discovered Percy. 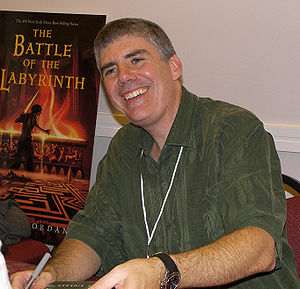 To learn more: Visit author Rick Riordan website, at www.rickriordan.com. Read reviews of the first Percy Jackson book, The Lightning Thief, at GoodReads.com.